Palm Cay – One of the Top 3 Communities in The Bahamas to own a home. 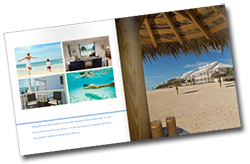 Home/Uncategorized/Palm Cay – One of the Top 3 Communities in The Bahamas to own a home. Check out this informative article about the top 3 communities to own a vacation home in The Bahamas. Palm Cay is in illustrious company. The Bahamas is the ultimate summer destination for the wealthy. Those that have the opportunity to indulge enjoy stunning beach days, waterfront restaurants, friendly clubhouses, and an energetic nightlife blended with the experience of taking on a different island every weekend #islandhop. With the summer season slowly coming to an end, here are 3 of the most desirable communities to own a vacation home in Nassau, Bahamas.